Photo: Yukon golf’s Alyssa Wilson signs with Oklahoma Christian University. 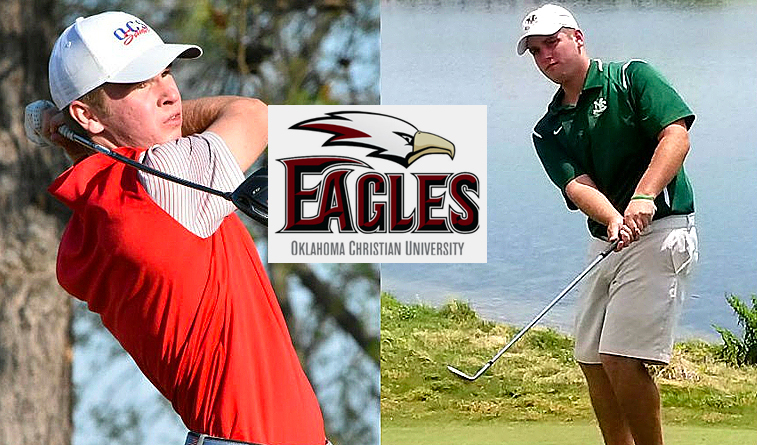 OKLAHOMA CITY (Nov. 28, 2018) – Junior-college All-American Alex Motes and local prep standout Said Powers have signed letters of intent to play college golf at Oklahoma Christian, OC coach David Lynn said Wednesday. 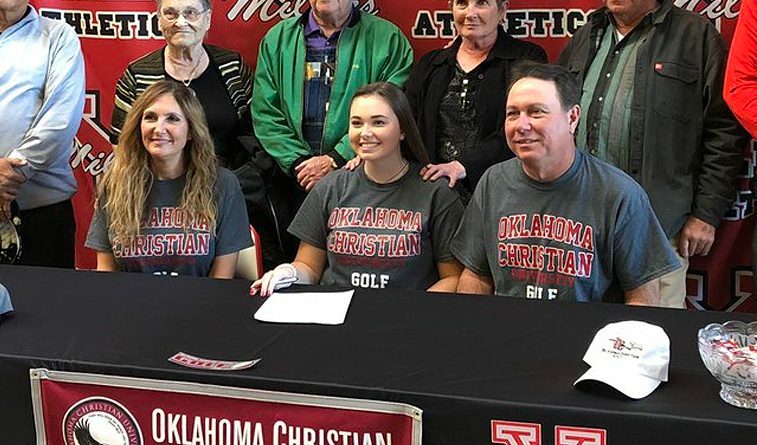 Alyssa Wilson, a rising star in the Oklahoma junior golf ranks, has signed a letter of intent to play collegiately for the women’s team. Motes, from Sulphur Springs, Texas, recorded four top-10 finishes as a freshman at Midland (Texas) College, highlighted by a fifth-place showing at the National Junior College Athletic Association Championship in May at The Rawls Course in Lubbock, Texas, where he was 5-under-par for the 72-hole tournament. He had a 74.64 scoring average over 33 rounds as a freshman – earning NJCAA All-America first-team honors – and posted a 73.3 scoring average during the just-completed fall season for Midland. Powers attends Oklahoma Christian School in Edmond, the same program that produced current OC senior Ethan Smith and former Eagle standout Zac Schaefer. Powers helped the Saints win the Class 3A team title in 2017 and the Class 2A crown in 2018. He finished fourth individually in the 2017 Class 3A tournament at Lincoln Park Golf Club’s West Course in Oklahoma City and 12th in the 2A state tournament last May at Trosper Park Golf Club, also in Oklahoma City. He received honorable mention on The Oklahoman‘s All-City list both years. Said Powers (left) and Alex Motes (right) have signed to play collegiate golf at OC. He also has won a handful of summer youth tournaments on various tours. 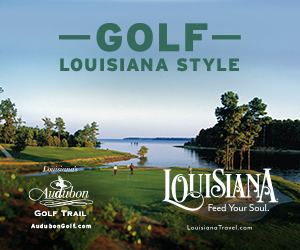 “Said is an outstanding golfer from Edmond,” Lynn said. 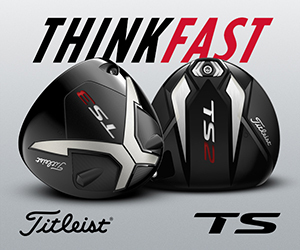 “He has had many top-10 finishes in a variety of settings including AJGA, OJGT and high school Golf. 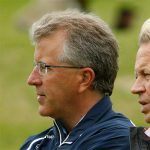 Said brings a wealth of tournament experience to our program, which will serve him extremely well. Wilson finished fourth in the Class 6A state tournament as a sophomore at Yukon and 14th last season. She made The Oklahoman‘s All-City first-team list in 2017 and received honorable mention in 2018. Outside of high school, she has won four events on the PGA South Central Section Players Tour, including the Jimmie Austin Junior Classic in July in Norman. She was one of 81 junior golfers from around the nation invited to play in September 2017 in the PURE Insurance Championship, a PGA Champions Tour event at prestigious Pebble Beach Golf Club in California.